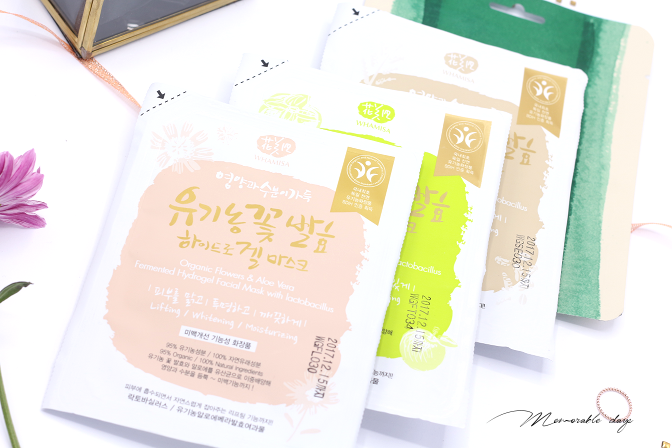 Introducing You: Whamisa Hydrogel & Kelp Masks | Memorable Days : Beauty Blog - Korean Beauty, European, American Product Reviews. The first time I heard about the brand Whamisa was via their instagram page and I got interested then by their gorgeous packaging and when I saw that they offer organic natural fermented skincare products. Interesting isn't it? When Moonimask asked me if I wanted to try their masks I couldn't say no! I am introducing this brand to you as well as Moonimask which is a webshop in France! I won't be sharing any reviews in this blogpost, I will do that either in a seperate blogpost or on my second instagram account @Sokobeauty. Mooni Mask is the first French sheet mask webshop in Europe and is created by Amélie and Anita who are both big K-beauty fans as well. From hydrogel masks, powder masks to jelly masks, they have it all! They have something for every skin type and I am sure there is one for you too. The assortment isn't too big but keep in mind it is a startup, so they will have more and more in the near future. I cannot wait to see different kind of sheet masks here. Can the title of the mask be any longer? lol. 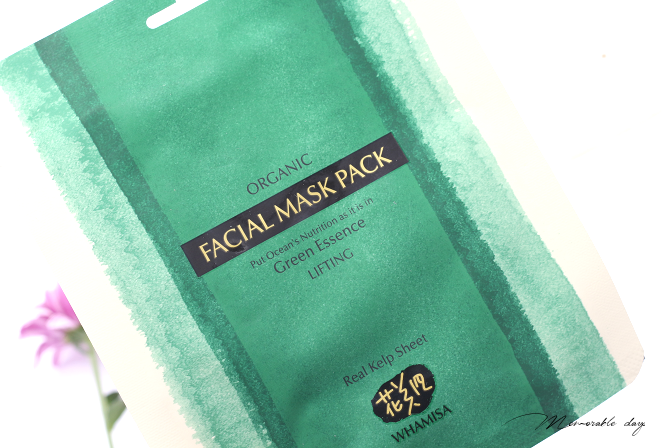 This mask is great for lifting, whitening and moisturizing the skin. It is formulated with 95% organic ingredients (like camellia, chrysanthemum and dandelion extracts) and contains 100% natural ingredients. It is free of parabens, mineral oils, synthetic dyes & fragrances. This mask is ideal for all skin types. The hydrogel mask is soaked in skin-plumping botanical serum which leaves your skin hydrated and glowy. The aloe vera will calm dull skin. This mask reacts to your skin temperature in order to deliver the benefits of the natural ingredients most directly to your skin. 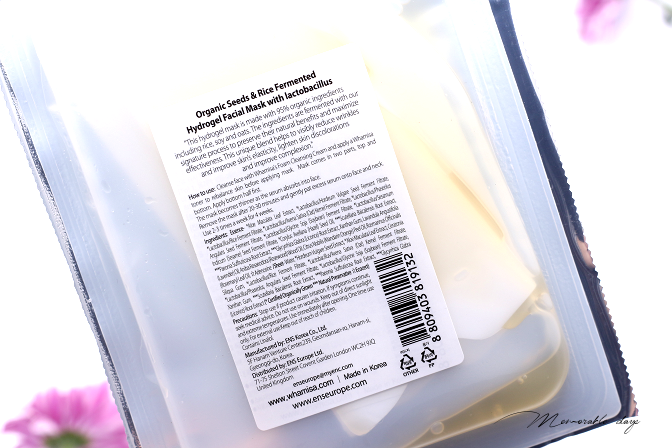 At the back of the sheet mask, you can actually see the sheet there with the serum soaked in since it is translucent, great idea! This mask is sold at moonimask.com for €6.90. Water, *Camellia Sinensis Leaf Extract, *Chrysanthemum Sinense Flower Extract, *Lactobacillus/Aloe Barbadensis Ferment Filtrate, *Aloe Barbadensis Leaf Extract, Ceratonia Siliqua Gum, Xanthan Gum, *Lactobacillus/Chrysanthemum Sinense Flower Ferment Filtrate, *Lactobacillus/Nelumbium Speciosum Flower Ferment Filtrate, *Lactobacillus/Dandelion Leaf/Root Extract Ferment Filtrate, **Scutellaria Baicalensis Root Extract, **Paeonia Suffruticosa Root Extract, **Glycyrrhiza Glabra (Licorice) Root Extract, ***(-)-alpha-bisabolol, Aniba Rosaeodora (Rosewood) Wood Oil, Citrus Aurantium Bergamia (Bergamot) Fruit Oil. 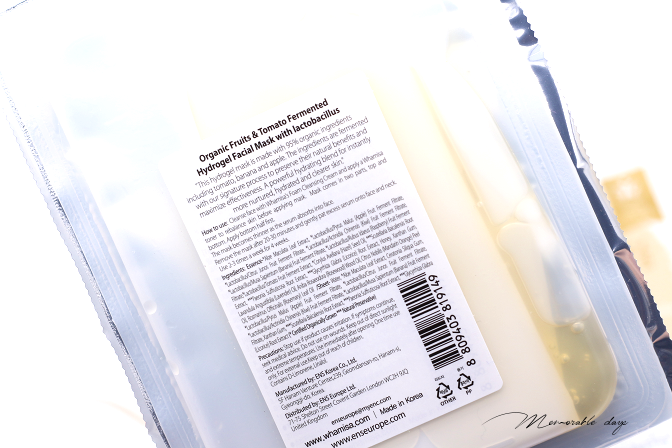 The fruit & tomato hydrogel is perfect for people with combination to oily skintype. It moisturizes and soothes the skin in minutes, it brightens the complexion and refines skin texture. 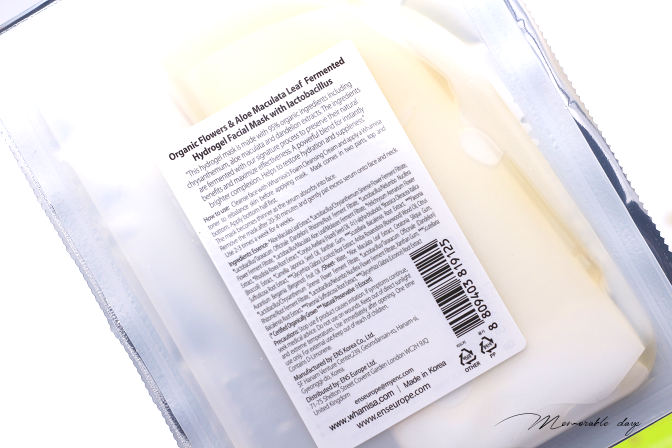 It is formulated with 95% organic ingredients (incl. tomato, apple, licorice and banana). The fruit extracts purifies the skin, cleanse the pores and reduces spots. The tomato extract is a powerful antioxidant that protects againts UV, great for anti-aging. It is parabens, silicones, mineral oils, synthetic dyes & fragrance free. This mask is also sold for €6.90 at moonimask.com. Water, *Pyrus Malus (Apple) Fruit Extract, **Glycyrrhiza Glabra (Licorice) Root Extract, *Lactobacillus/Pyrus Malus (Apple) Fruit Ferment Filtrate, *Lactobacillus/Actinidia Chinensis (Kiwi) Fruit Ferment Filtrate, *Lactobacillus/Musa, Sapientum (Banana) Fruit Ferment Filtrate, *Lactobacillus/Rubus Idaeus (Raspberry) Fruit Ferment Filtrate, *Solanum Lycopersicum (Tomato) Fruit/leaf/stem Extract, Lavandula Angustifolia (Lavender) Oil, Aniba, Rosaeodora (Rosewood) Wood Oil, Citrus Nobilis (Mandarin Orange) Peel Oil, Rosmarinus Officinalis (Rosemary) Leaf Oil. 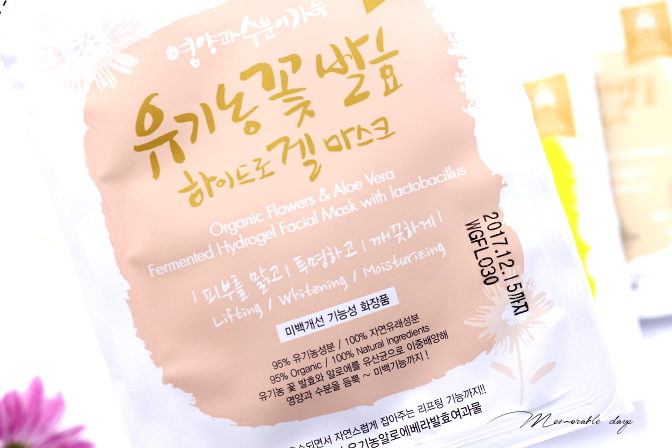 This mask is ideal for dehydrated skin and lack of elasticity. It is formulated with 95% organic ingredients, including rice and black soybean. It moisturizes and nourishes the skin. Barley and carob extracts soothes and soften the skin. Aloe vera is a great moisturizer to calm the skin and rice will deeply moisturize and is great for collagen production. This mask will improve skin’s elasticity and firmness. It is parabens, silicones, mineral oils, synthetic dyes & fragrance free. It is sold at moonimask.com for €6.90. Water, *Hordeum Vulgare Seed Extract, *Glycine Soja (Soybean) Seed Extract, Ceratonia Siliqua Gum, Xanthan Gum, *Aloe Barbadensis Leaf Extract, *Lactobacillus/Rice Ferment Filtrate, **Scutellaria Baicalensis Root Extract, **Paeonia Suffruticosa Root Extract, **Glycyrrhiza Glabra (Licorice) Root Extract, *Lactobacillus/Phaseolus Radiatus Seed Ferment Filtrate, *Lactobacillus/Glycine Soja (Black Soybean) Ferment Filtrate, *Lactobacillus/Phaseolus Angularis Seed Ferment Filtrate, Allium Cepa (Onion) Bulb Extract, *Lactobacillus/Hordeum Vulgare Seed Ferment Filtrate, *Lactobacillus/Sesamum Indicum (Sesame) Seed Ferment Filtrate, Coix Lacryma-Jobi Ma-yuen Seed Extract, Adenosine, Lavandula Angustifolia (Lavender) Oil, Aniba Rosaeodora (Rosewood) Wood Oil, Citrus Nobilis (Mandarin Orange) Peel Oil, Rosmarinus Officinalis (Rosemary) Leaf Oil. 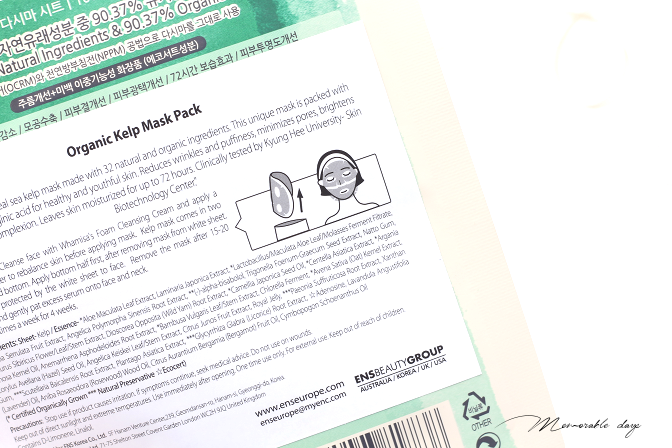 This is the mask that I am very excited about - the kelp sheet mask. We all know kelp, it's seaweed that we Asian people normally have in soup or as a side dish. This is 100% real sea kelp and it will moisturize and create glowy skin. Each sheet is drenched in a full bottle of fermented sea kelp and bamboo serum. 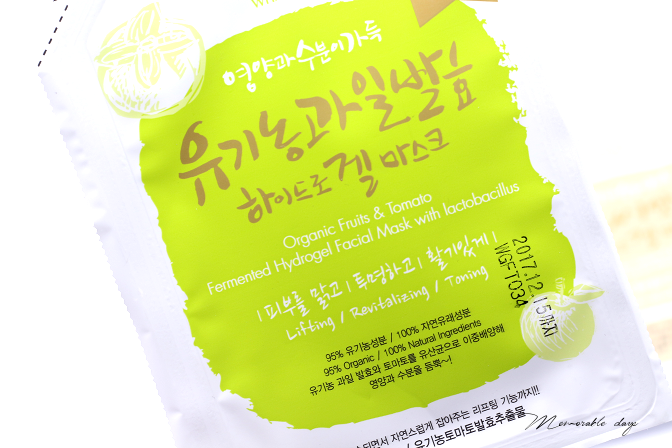 It is formulated with kombu seaweed, this mask provides hydration and nutrition to the skin for 72 hours. It is ideal if you lack skin elasticity. It is free of parabens, silicones, mineral oils, synthetic dyes and fragrances. This mask is sold at moonimask.com for €9.50. Laminaria Japonica, *Aloe Maculata Leaf Extract, Laminaria Japonica Extract, *Lactobacillus/Maculata Aloe Leaf/ Molasses Ferment Filtrate, Serenoa Serrulata Fruit Extract, Angelica Polymorpha Sinensis Root Extract, ***(-)-alpha-bisabolol, Trigonella Foenum-Graecum Seed Extract, Natto Gum, Leonurus Sibiricus Flower/Leaf/Stem Extract, Dioscorea Opposita (Wild Yam) Root Extract, *Camellia Japonica Seed Oil, *Centella Asiatica Extract, *Argania Spinosa Kernel Oil, Anemarrhena Asphodeloides Root Extract, *Bambusa Vulgaris Leaf/Stem Extract, Chlorella Ferment, *Avena Sativa (Oat) Kernel Extract, *Corylus Avellana (Hazel) Seed Oil, Angelica Keiskei Leaf/Stem Extract, Citrus Junos Fruit Extract, Royal Jelly 0.05, **Paeonia Suffruticosa Root Extract, Xanthan Gum, **Scutellaria Baicalensis Root Extract, Plantago Asiatica Extract, **Glycyrrhiza Glabra (Licorice) Root Extract, ***Adenosine, Lavandula Angustifolia (Lavender) Oil, Aniba Rosaeodora (Rosewood) Wood Oil, Citrus Aurantium Bergamia (Bergamot) Fruit Oil, Cymbopogon Schoenanthus Oil. It all sound interesting to me and I can't wait to give these all a try. Big thank you to Moonimask for giving me a chance to try these out. Check their website out if you are interested and keep an eye out on my instagram @Sokobeauty for reviews about these sheet masks!